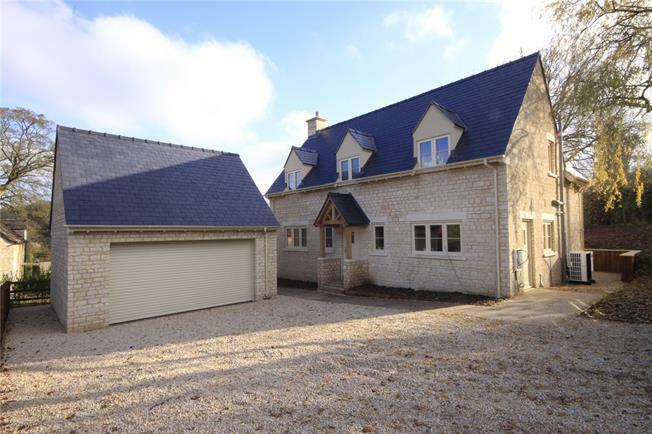 4 Bedroom Detached House For Sale in Cirencester for Guide Price £695,000. An impressive brand new, four bedroom detached house located within a popular hamlet on the edge of Cirencester. Constructed with natural stone elevations the property enjoys well planned living accommodation, generous landscaped gardens, a gated driveway and detached double garage. To the ground floor a generous reception hall with cloakroom provides access to both the sitting room and kitchen with an oak staircase rising to the first floor. The sitting room has a dual aspect and includes a dressed stone fire place and double opening, half glazed doors out to the rear garden. The kitchen will be a lovely room and provides both dining and family space incorporated within a glazed addition with wonderful views over landscaped gardens. A utility room is conveniently located off the kitchen. The first floor living space includes an ensuite master bedroom, three further bedrooms and a family bathroom. An air source system provides under floor heating to the ground floor with radiators to the first floor. 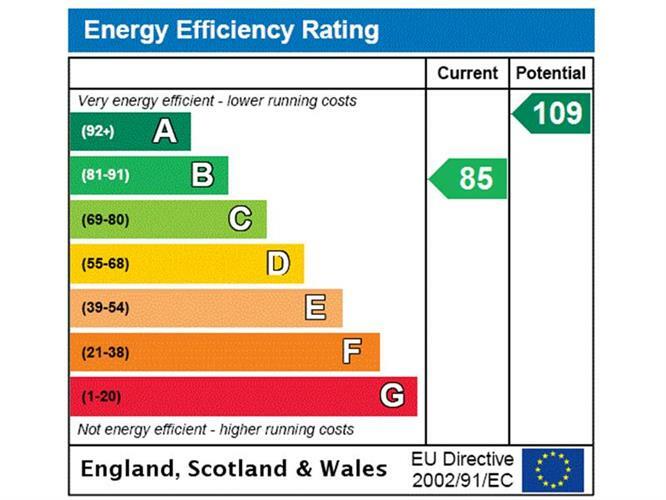 This property is also being sold with the benefit of a 10 year LABC Warranty. Located in Perrotts Brook, Field View House is a beautiful brand new home ideally situated to take in the stunning surrounding countryside. Known as the “Capital of the Cotswolds”, Cirencester is a hub of vibrant cultural life. Cheltenham is a short drive north with excellent shopping and dining and sporting opportunities. There is an extensive choice of schooling within the area and excellent communications with high-speed internet and easy access to major hubs and international airports in the South West, the Midlands and London, via the M4 and M5 motorways and well connected direct train services. Cirencester 2.5 miles - Kemble 8 miles (London Paddington 60 minutes) - Cheltenham 13 miles - M4 (Junction 15) 21 miles. The property is approached through double opening, wooden five bar gates on to a gravelled driveway providing parking and access to the detached double garage. A paved pathway leads to both sides of the property into the enclosed, landscaped rear garden with a wide terrace and steps up to the lawn bounded by a hedge line. Within the garden is a range of mature trees. Please note the living Room and Dining Area photos have been digitally enhanced with furniture.